Are you looking for a perfect recipe for tonight? 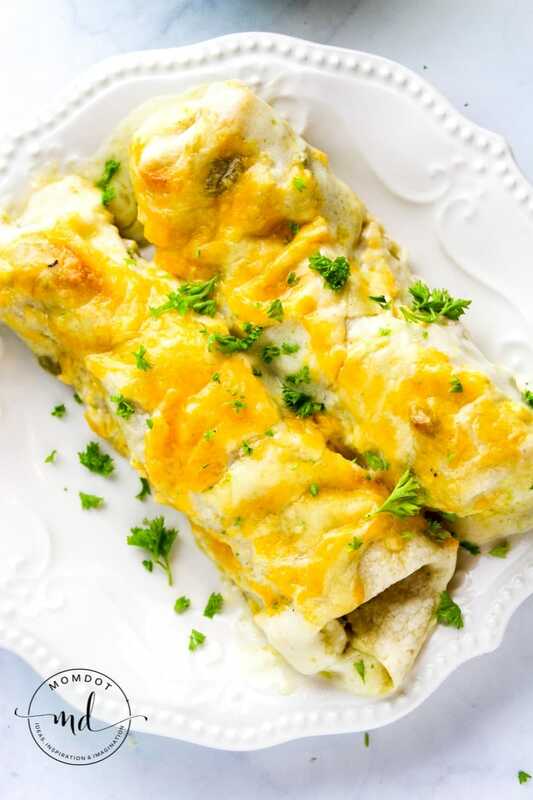 Check out Easy and Creamy White Chicken Enchiladas for a customizable meal that is perfect on its own or easy to add favorites like a guacamole and salsa mix! People describe this recipe as “fabulous”, “perfect” and “family friendly” which is why I am so excited to share it with you from one of my dear friends personal collections. She was more than happy to lend this recipe to MomDots readers so we can all experience a home cooked and delicious meal this week. And the best part? 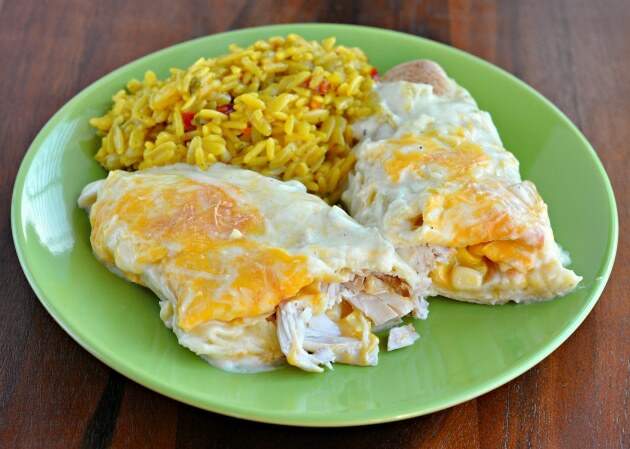 White Chicken Enchiladas are mega easy to make! If you are looking for a low carb version, this isn’t it, but you can check out this low carb chicken enchilada casserole for an adaption of this type of recipe. Standard cutting boards get scratches which become a breeding ground for bacteria. 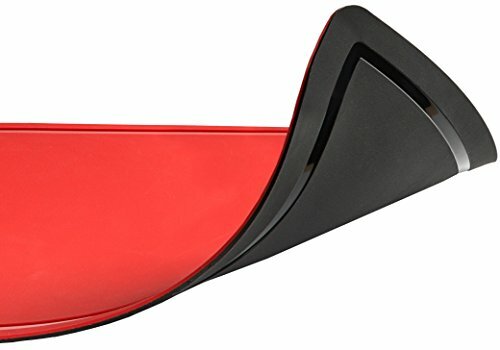 This cutting board is extremely scratch-resistant, preventing any bacteria from building up, has two sides, and a juice catcher so your defrosted chicken doesn’t leak to the counter. 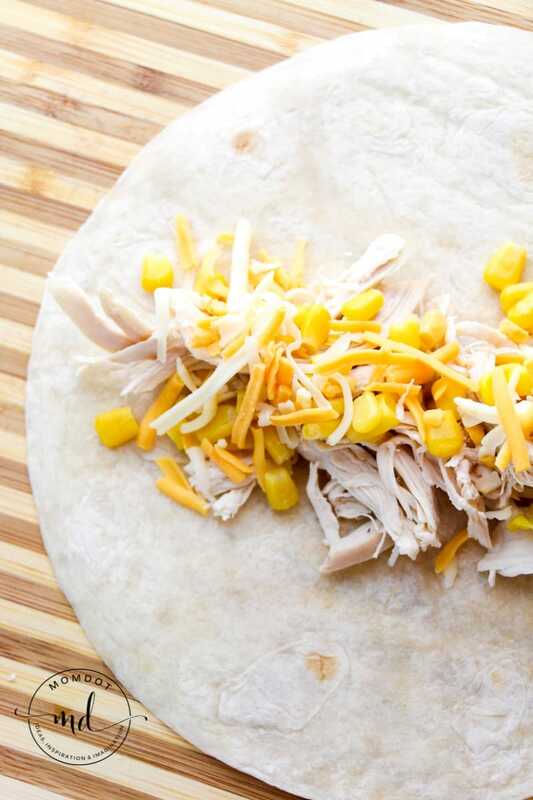 Fill the center of each tortilla with a handful of shredded chicken, a tablespoon or so of the corn, and a pinch of the shredded cheese. Roll and place in the bottom of a baking dish with the seam side down. In a pot over medium heat melt the better. Add flour and whisk into a thick paste. Add chicken broth, cream of chicken, sour cream, chiles, salt and pepper. Whisk gently for about 5 minutes until warm and smooth. Pour the sauce over the enchiladas and top with remaining shredded cheese. Bake for 25 to 30 minutes and serve warm. If you love saucy chicken, of course do not forget to try out this Lemon Butter Chicken Recipe before you go either! Its amazing! In a pot over medium heat melt the better. Add flour and whisk into a thick paste. Want to see more Baked Chicken Recipes? Head over here for a list! Or click below to see Slow Cooker Chicken Parmigiana Sandwiches!